Routes 93, 293, & 101. Building Description: First Quality Flex Building with attractive brick exterior, great window line. as a call center. 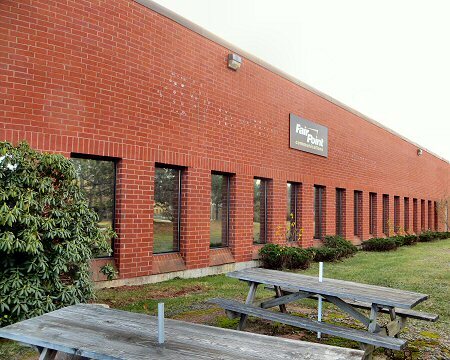 Fairpoint is downsizing into approximately half of the building. Space Description: Available space has full air conditioning and drop ceiling. Currently one loading dock but the owner has indicated that he is willing to add more docks. Owner is willing to modify space so that it can be used as office or industrial space. (projected to be approximately $.90 per sq. ft.). slab. Clear height to the bottom of the bar joists is approximately 16 feet.